With no record of travel to Germany, Doughty must have painted Valley of the Rhine when he encountered the Alpine river on the Franco-German border. 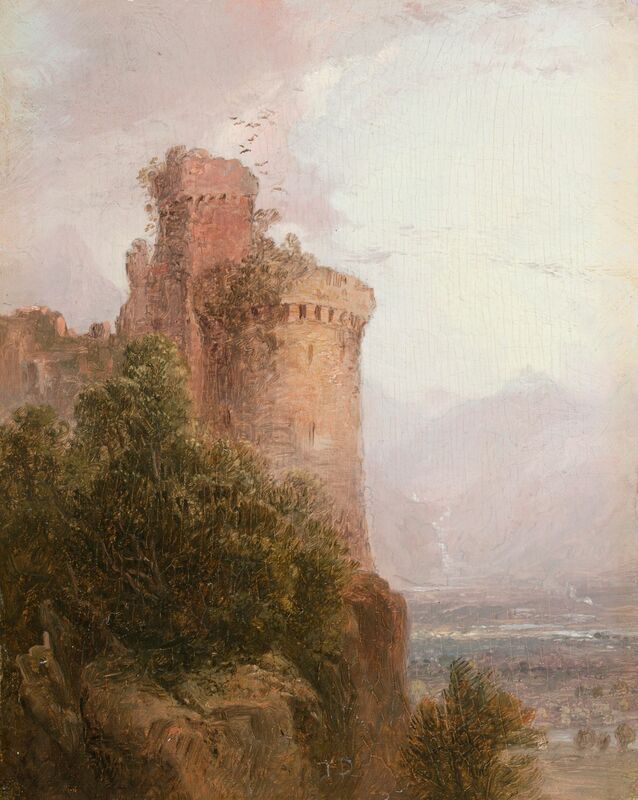 The structure in the image likely depicts the Château du Girsberg, a 13th-century castle now reduced to keep ruins, which precariously overlooks the river valley at an altitude of 528 meters. 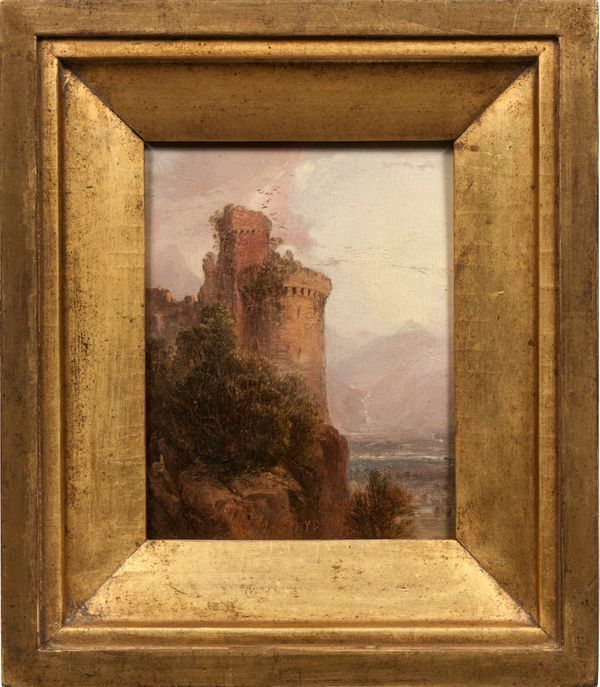 The castle was abandoned in the 17th century, since which time it has been reduced to the ruins visible in Doughty's rendering. Château du Girsberg is flanked by two similar castles in the Vosges Mountains: the Château de Saint-Ulrich and Château du Haut-Ribeaupierre, both of which were built around the same time. It is possible that Doughty visited all three castles and borrowed architectural details from each to compose the unique architecture that dominates Valley of the Rhine.